Alice Waters is the visionary chef and owner of Chez Panisse in Berkeley, California. She is the author of four cookbooks, including Chez Panisse Vegetables and Fanny at Chez Panisse. Known as the Queen of Local Food, she founded the Edible schoolyard at Berkeley’s Martin Luther King Jr. Middle School. She lives in San Francisco. 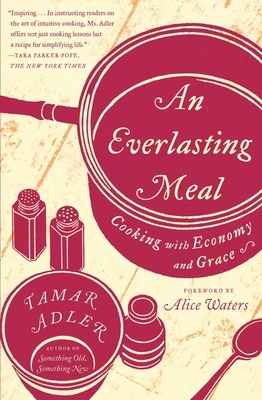 "Reading [An Everlasting Meal] is like having a cooking teacher whispering suggestions in your ear.... Mindfulness, I’m discovering through this terrific book, can be delicious." The perfect synthesis of literature and self-help. I really think it’s a profound book.